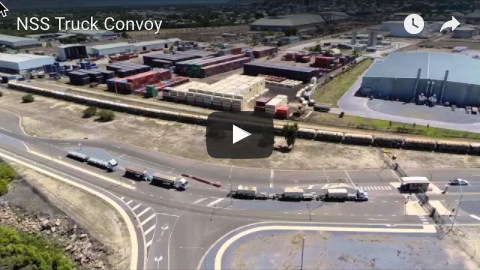 Northern Stevedoring Services, regional Queensland’s largest stevedoring company has lauded its expansion into Gladstone as monumental in showcasing the flexibility that NSS has over competitor companies and the experienced nature of its workforce. A recent berthing issue for the largest privately owned cotton merchandiser in the world, Dunavant Enterprises, led to NSS providing a fast and efficient solution for the company and further cementing its dominance in flexible stevedoring services. Unable to complete a bulk unloading at Barney Point, Dunavant’s product had to be moved to the Grain Corporations berth and unloaded using 28 metre skips allowing for 100 tonne an hour to be stevedored. “The successful completion of the recent Dunavants job highlights how efficiently NSS is able to identify solutions for companies that are berthing in Gladstone and our can-do attitude to often problem situations,” said Todd Emmert, General Manager, NSS. 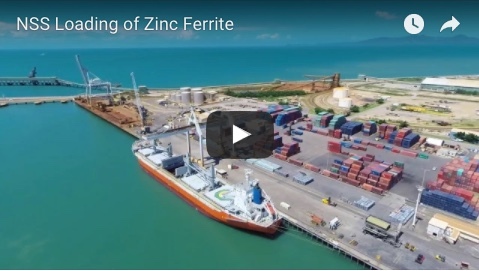 “We see Gladstone as being pertinent to our growth plans and as a company we will continue to look to this market as being pivotal in showcasing NSS competitive advantage as regional Queensland’s largest stevedoring service. NSS has experienced high growth in the past 12 months and this may be largely attributed to clients who are demanding a fast and reliable stevedoring workforce, in which NSS is able to accommodate. “As the largest stevedoring company in regional Queensland, we are pleased to be able to employ so many locals who are experienced in stevedoring to work for our company,” confirmed Mr Emmert. With a commitment to regional Queensland, NSS has invested in state of the art facilities and equipment, with a focus on setting the benchmark for the delivery of stevedoring and supply chain management for all clients.